Died on or since: 20th July 1916; age 30; KiA. Date of Entry Therein: 17th February 1915 – France. 1891 28, Arthur Street, Ipswich. John was 5 years old and living with his parents, sisters & maternal aunt & uncle. Arthur Otto, 25, a Carpenter, born Ipswich. Elizabeth Otto (nee Catchpole), 24, born Ipswich. Daisy Elizabeth Otto, 3, born Ipswich. Maud Blanche Otto, 1, born Ipswich. Robert Charles Catchpole, 18, an Iron Fitters Labourer, born Ipswich. Maria Christiana Catchpole, 13, born Ipswich. 1901 28, Arthur Street, Ipswich. John was 15 years old, a Plough Fitter. He was living with his parents & siblings. Kate Laura Otto, 5, born Ipswich. William Percy Otto, born Ipswich. Amy Otto, 1 month, born Ipswich. 1911 26, Gibson Street, Ipswich. John was 25 years old, a General Labourer. He was living with his parents & siblings. Arthur, 45, a House Carpenter & Joiner – Builder. Maud, 21, a Stay Maker – Corset Factory. May Rose Otto, 17, a Service Domestic, born Ipswich. Kate, 15, a Paper Bag maker – Bag Factory. Stanley George Otto, 7, born Ipswich. 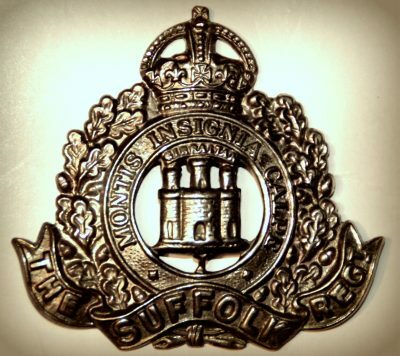 John’s father Arthur Otto died September 1916, Ipswich. John Otto, born 1913 – 1913, Ipswich. Doris Evelyn Otto, born January 1914, Ipswich. Lilian Beatrice Otto, born 1915, Ipswich.